Juan Garcia is a farmer from Larreynaga, Nicaragua. When I made the image on the left, Juan was in his 70's and his great grandson, Elgin, was 4 years-old. 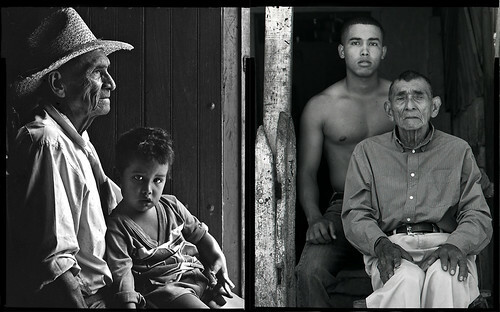 Twenty years later, great grandson and great grandfather reunited for a second photo together.